The parliamentary panel on IT has summoned Twitter CEO Jack Dorsey on 25 February over complaints about the portal's 'anti-Right bias'. 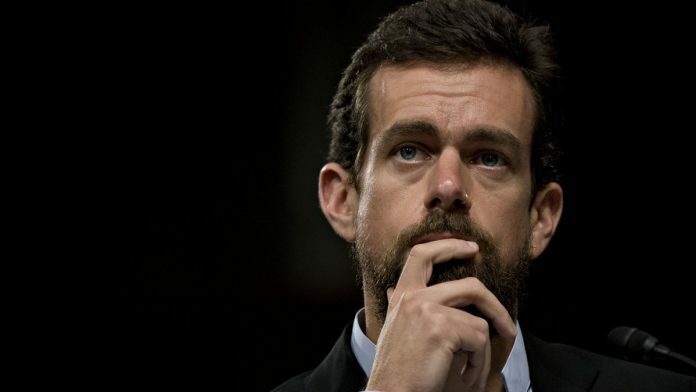 New Delhi: The majority of MPs on the parliamentary committee for information technology that has summoned Twitter CEO Jack Dorsey are either not on the website or have unverified accounts that are indistinguishable from fakes. Of the 31 MPs on the panel — 21 from the Lok Sabha and 10 from the Rajya Sabha — only 12 have verified accounts. The 19 who are either not on Twitter or have unverified accounts are Dr Jayakumar Jayavardhan and R. Vanaroja of the AIADMK, K.G. Kenye of the Naga People’s Front, Kahkashan Perween of the JD(U), L.K. Advani, Bharati Dhirubhai Shyal, K.C. Patel, Shyama Charan Gupta, and Suresh Gopi of the BJP, P. Karunakaran of the CPI(M), Prasun Banerjee and Anupam Hazra of the Trinamool Congress, Beni Prasad Verma and Nagendra Pratap Singh Patel of the Samajwadi Party, Doddaalahalli Kempegowda, Kujur Santiuse and KVP Ramachandra Rao of the Congress, CPI’s Binoy Viswam, and AAP’s Harinder Singh Khalsa. Prominent among them is Advani, India’s former deputy prime minister. While a Google search throws up two genuine-looking accounts of the MP — one that claims to be official, and the other tagged in tweets by the verified account of an Israeli envoy — a source close to the BJP told ThePrint that Advani is not on Twitter. A verified Twitter account is important because it lets people know an account is not fake. In this era of fake news, it is potentially dangerous to have multiple authentic-looking Twitter accounts of famous personalities floating around on the internet — a factor vulnerable to misuse. Personalities of public interest have to file an application with Twitter to have their accounts verified. According to research from digital marketing firm ‘KickFactory’, the average Twitter user had 707 followers in 2016, up 340 per cent since 2012. However, as many as nine members of the IT parliamentary panel have fewer followers than this. While many of India’s politicians have over 100,000 followers, including PM Narendra Modi and Shashi Tharoor, at least 15 of the panel’s members have less than 5,000 followers, including three verified accounts — Virender Kashyap, Hemant Tukaram Godse, and Sunil Baliram Gaikwad. Many of the IT parliamentary committee members do not post content regularly as is recommended by social media management experts for users who want to engage more Twitter followers. For example, Prasun Banerjee of the Trinamool — who again has an unverified, dormant account — last tweeted in 2014. This was the first and last tweet on Banerjee’s Twitter handle, which is followed by only 177 users. Similarly, Godse has tweeted only 124 times since joining in December 2017, K.C. Patel has tweeted only 46 times since joining in August 2017, and Suresh Gopi has tweeted only seven times since joining the platform in October 2014. According to social media management company Buffer, the quality of content and its relevance to your target base matter when it comes to expanding your Twitter following. This could explain why Dr Sunil Baliram Gaikwad has around 4,300 followers, even though he has posted 827 more tweets than the most-followed Twitter user on the IT standing committee, actor and Lok Sabha member Paresh Rawal, who has 2.51 million followers. On 11 February, the IT committee met to discuss Twitter’s alleged bias against Right-wing political ideology, but the meeting was postponed after the social media company sent junior representatives, with the panel insisting that Dorsey appear before them. However, while IT committee chairman Anurag Thakur may reprimand the Twitter brass for their absence at the meeting, his own panel registered a low attendance. According to the Lok Sabha website, only 17 of the panel’s 31 members attended the 11 February meeting. The notable absentees included actor Hema Malini and Subhash Chandra, chairman of Essel Group.